Bumpy Ride or Steering Problems? Do you feel every tiny bump on the road when driving your vehicle? It just may be a problem with your suspension and/or steering system. 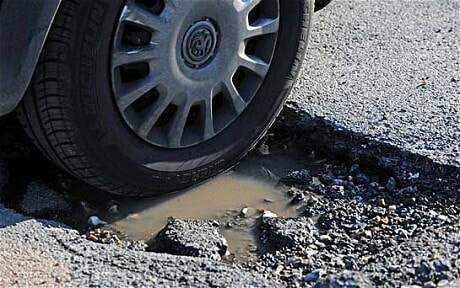 Unfortunately the road conditions in Malden, MA can be bumpy with everyday pot holes or road construction that cause premature wear & tear on your automobiles suspension system. Your vehicle’s shock absorbers and coils springs are designed give you a smooth, balanced and comfortable ride. But of course, over time, the components of your suspension system begin to wear. As you continue to drive you may think the roads are getting worse as your ride continues to be bumpy but may also mean its time for an inspection of your suspension system. If you suspect suspension problems early before too much damage has been done we may be able to fix the problem by simply making some adjustments to the system. However, the longer you wait to the problem is most likely going to get worse and ultimately cost more to repair. If you think you need suspension system repair in Malden, MA and you would like us to take a look, call our expert technicians at Eli & Gary's Automotive Services today and see why Malden, MA area drivers choose us when it comes to suspension systems repair. We are a full service auto repair and maintenance to garage servicing all makes and models throughout the greater Malden, MA area, providing fast, quality service and maintenance that saves you money.